This article originally appeared in the Newsroom on 12 May. View the original here. In a sobering finding for global health authorities and governments around the world, a group of leading epidemiologists say two in three deaths globally – or 40 million people - go unreported. And one in three births – another 40 million people – go unregistered. The findings were presented in a series of papers published in The Lancet onCounting Births and Deaths. 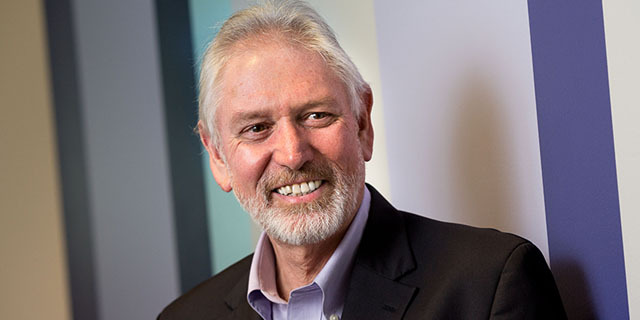 University of Melbourne Laureate Professor Alan Lopez, one of The Lancet series lead authors, has been leading a global campaign to improve how countries capture civil registration and vital statistics (CRVS). The four-paper Lancet series promote the case to change CRVS systems to collect more reliable and timely data. "Policy should be informed by accurate and timely data," Professor Lopez said. "Poor quality data equals poor decisions, which in turn leads to lost opportunities to improve population health." In remote areas where there are no doctors, CRVS improvements could include family members of deceased responding to a limited number of questions about symptoms experienced by the deceased which an algorithm using big data samples would then analyse to record a most-likely cause of death, Professor Lopez said. "In many cases, that algorithm can record cause of death more accurately than a physician," he said. He said other technology advances could also be exploited such as using mobile phones to transmit information about recent cases of births and deaths. "We are on the cusp of a quantum leap in using technology to greatly improve the availability and quality of birth and death data even in the poorest countries", Professor Lopez said, adding that "mobile phones are now common virtually everywhere". "Indeed, accurately recording birth registration and cause of death is vitally important to leaders around the world. To put this in perspective, 140 countries, or 80% of the world's population – do not have reliable cause of death statistics. How can you influence country and global policy and intervention programs if you don't know the underlying causes of illness and death?" The first Lancet series paper looks at the current landscape of CVRS. It highlights inconsistent record-keeping worldwide, and argues for marked improvements in order to gather better statistics to help policy makers make better decisions. The second paper makes the case that good CRVS data is not only required for informing health policies, but that it is also actually good for health. "Countries that have functional CRVS systems report higher life expectancies and lower maternal and infant mortality rates indicating that the availability of good birth and death data is influencing the health policies of those nations," Professor Lopez said. In the third paper, the authors monitor the development of existing CRVS systems and its limited growth. The authors conclude that improvements in vital statistics systems over the past four decades have been disappointingly slow, and that rapid improvement is needed. "We have the technology and expertise to do so", Professor Lopez adds, "what is missing is a clear understanding by doctors and governments of the vital importance that vital statistics plays in a country's development". The concluding paper presents a research and development agenda for CRVS and challenges global health and development agencies to ensure that every birth and death is registered, and every decision-maker has detailed, continuous and locally relevant information needed to support policy and planning. The authors draw attention to the failures of leadership over the past few decades asking UN agencies and development partners to coordinate and collaborate to create a data-rich environment, which can produce evidence-based policy that meets the needs of a country and region. Professor Lopez will lead a team of global experts to engage world leaders to set-up better births and deaths registration systems. The work will be done thanks to $100m funding from Bloomberg Philanthropies. The four-year project, called Data for Health, involves the University of Melbourne working in partnership with Johns Hopkins University, the CDC Foundation, Union North America and the World Health Organization.